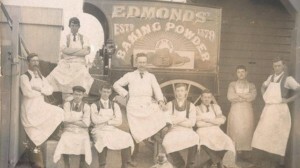 I am currently working on a biography of Thomas Edmonds of baking powder and cookbook fame! This should take me about a year to complete, so watch this space for more info next year. Last month there was an article in the Christchurch Press, written to help track down more info. It worked brilliantly!